Description: Nothing escapes your gaze. You can spot a dead man from a thousand paces. And if he's not dead, well, you can fix that. Scarf is Color Custom to Base Color. 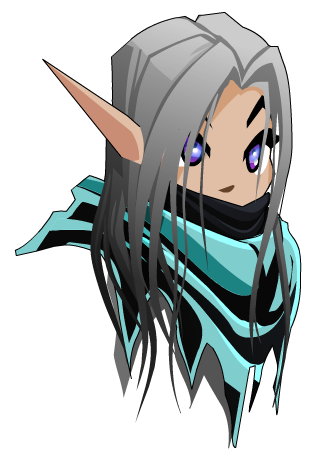 Previously called "Eagle-Eye Archer Drow Helm". Thanks to Blackboy13 and Flitterifie.